Although Canada is the largest producer of greenhouse tomatoes in North America, the nation's short growing season limits tomato choices for in-ground gardens. Luckily, Canadian growers developed their own cultivars, fast-growing tomatoes adapted to the short season and cool spring weather. Although many nurseries no longer grow most Canadian-developed tomatoes, some varieties are still available through seed catalogs and nurseries. The Sub-Arctic series of tomatoes includes Sub-Arctic Early, Sub-Arctic Maxi and Sub-Arctic Cherry. Dr. Harris and his team at the Beaverlodge Research Station in Alberta developed the series in the 1970's specifically for Alberta's short season. These tomatoes produce small fruit, clustered around the plant's center. Sub-Arctic Early is, as the name suggests, the earliest to ripen and sports small, 1- to 1-1/2 inch fruit in clusters. Sub-Arctic Maxi produces tomatoes twice as large as Sub-Arctic Early on dense, compact plants while preserving the very early harvest, ripening at an astounding 48 days. A firm, 2 to 3-inch plum tomato, Moira is a good choice for canning or juicing. This tomato ripens from the inside out, ensuring red, meaty tomatoes in a short growing season. Moria is a determinate tomato, and the fruit tend to ripen all at once over the compact plant. Jack Metcalf of the Smitfield Experimental Farm developed Moira in 1972. Scotia tomatoes take their name from their place of origin. The cool spring temperatures of Nova Scotia delay many tomato cultivars from setting fruit, but Scotia tomatoes set well despite the chilly weather. The red tomatoes are solid and grow to 2 and 1/2 inches, a good size for an early to mid-season tomato. Scotia tomatoes, even when ripe, often retain green shoulders. A descendant of Scotia, the determinate Cabot tomato ripens a fraction earlier but retains the firm, 2 and 1/2 inch fruit of its parent. The Kentville Research Station developed this variety in the 1950's for Canadian provinces with a maritime climate. The round fruit are flavorful and are a bright, attractive red. Starfire is a medium-to-large beefsteak tomato from Manitoba. 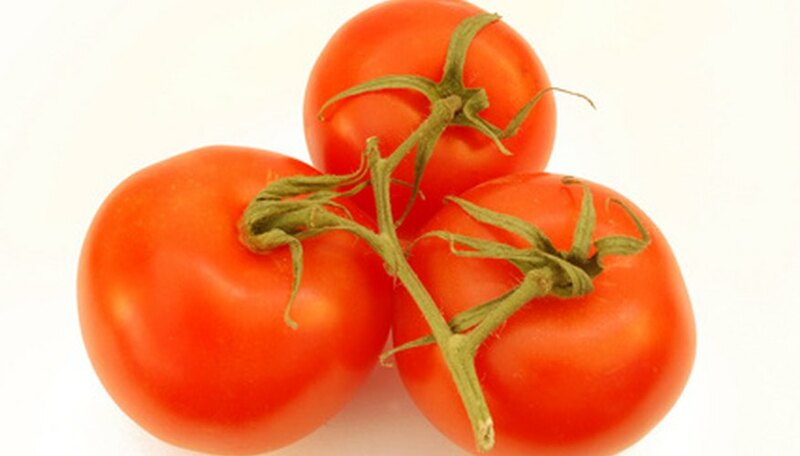 This cultivar is adapted for the short growing season and the fast-draining soils of Canada's plains, and produces round, meaty, ruby red tomatoes. Starfire is a determinate plant and has good leaf cover, protecting fruit from sunscald in sunnier gardens.